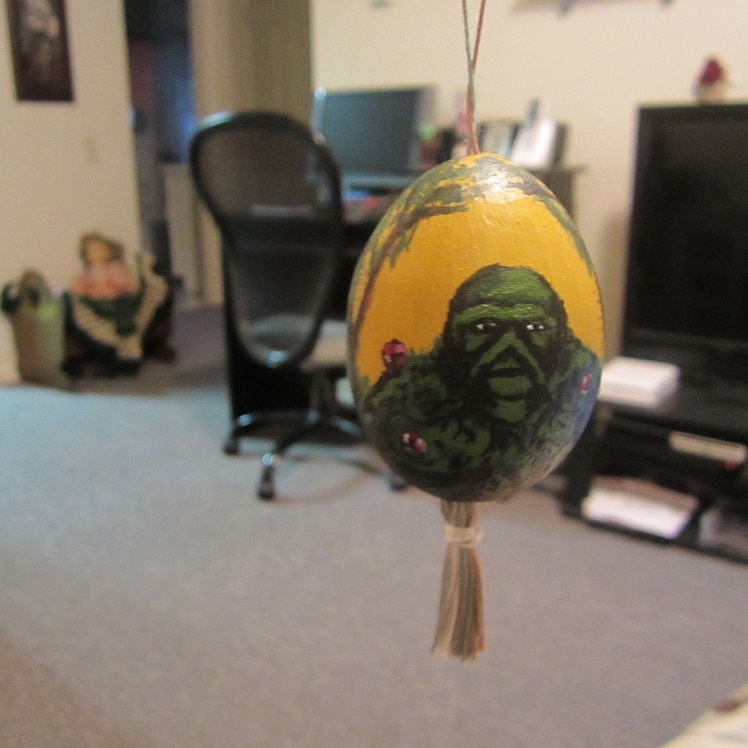 Fabrege Egg: Swamp Thing style! 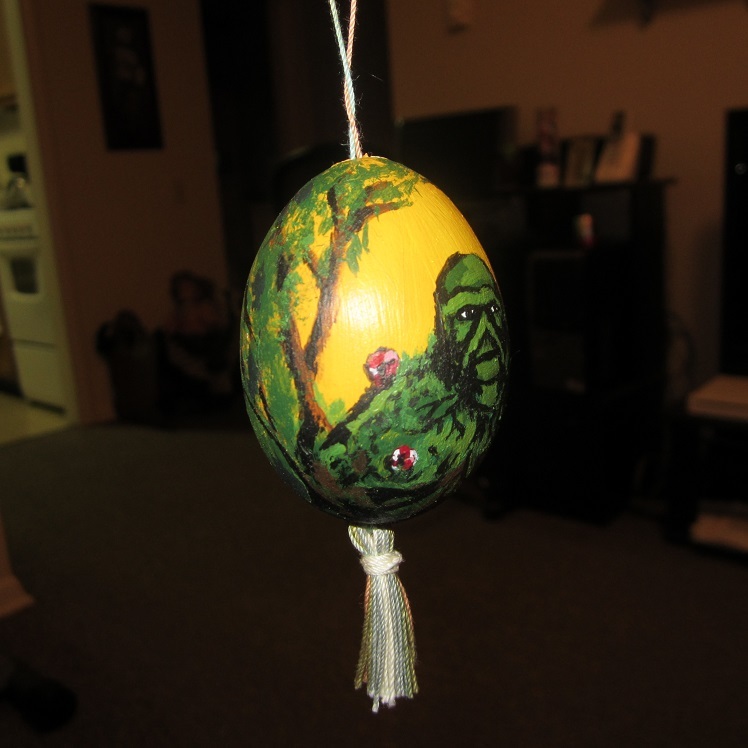 I’ve been playing around with making fabrege eggs with normal, store-bought chicken eggs. There’s no point hunting down goose eggs or even more illusive eggs if I can’t perfect plenty of easy to get a hold of eggs, ya know! I did a quick search for “how to blow out eggs” and found a helpful little wiki…thingy, which you can read here if you’re interested in giving it a try. They list plenty of options that don’t involve putting your mouth on the egg, but I found it easiest to scramble the contents in the egg with the needles I used to puncture them and them blow on ’em until I faint or they explode. Okay…none of them exploded, but that would be an interesting superpower. 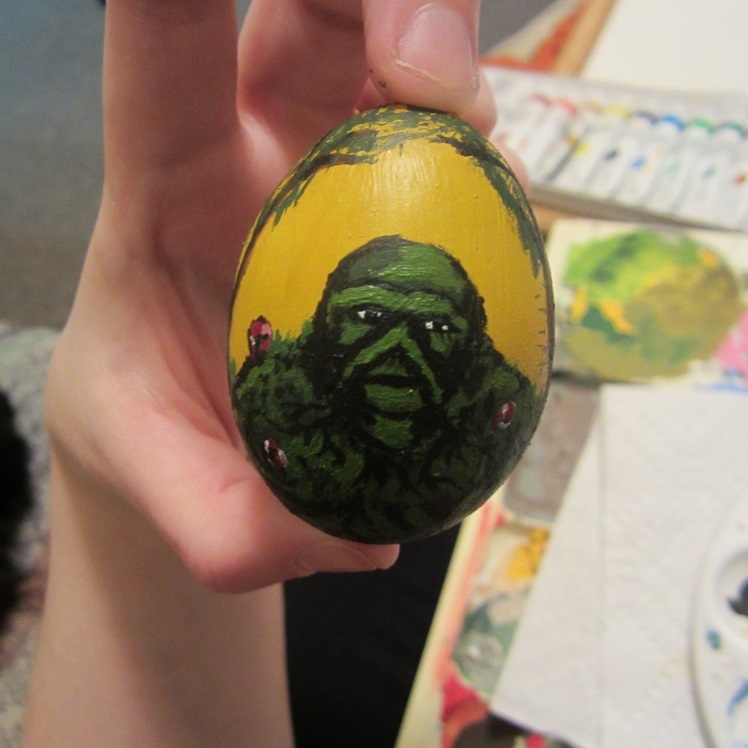 The hubby loves Swamp Thing, and I do too! 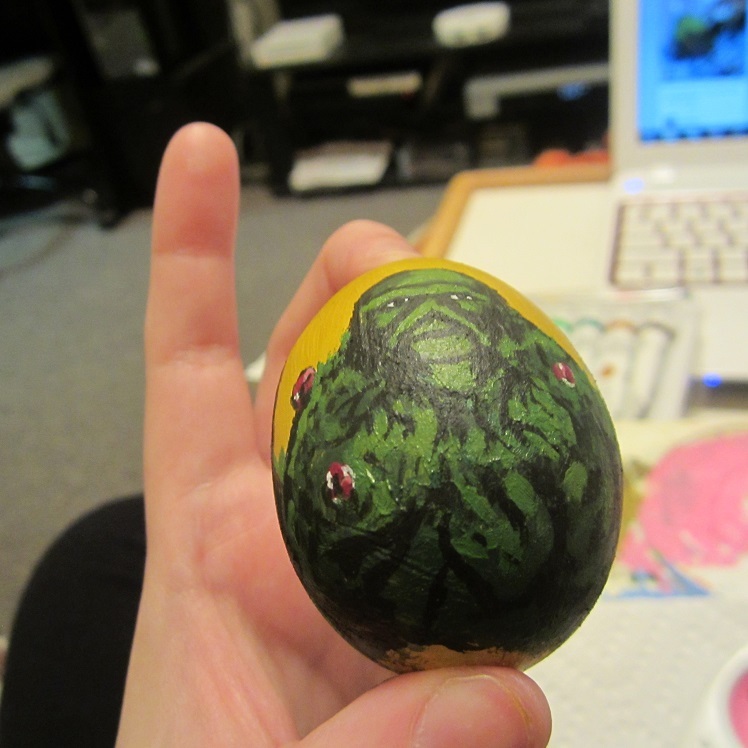 So I dragged out the paintbrushes and detailed my swampy heart out! I still haven’t sprayed it with the clear coat to make it look shiny and keep it protected yet, but here are the results! Enjoy! 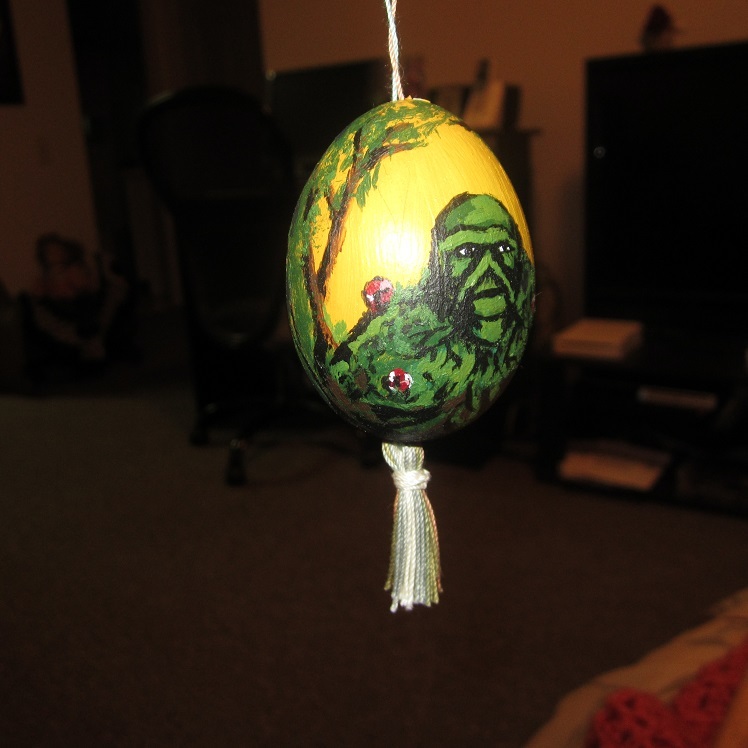 This entry was posted in Uncategorized and tagged art, comic book, crochet tassel, egg, faberge, faberge egg, Paint, painting, Swamp Thing, tassel. Bookmark the permalink.